Notes: Upper Chine School, Shanklin, Isle of Wight Inscription: In proud and everlasting memory of the Officers and Men of 46 RM Commando who laid down their lives in Normandy, Holland, and Germany. The H.Q. 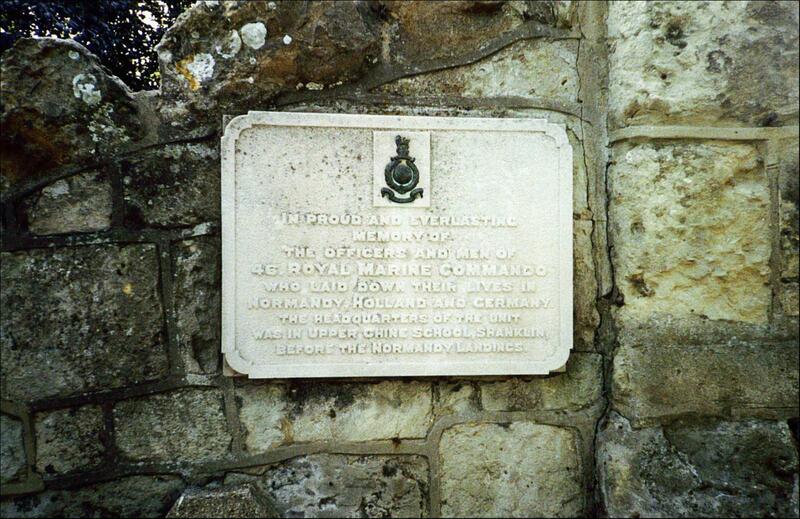 of the unit was in Upper Chine School, Shanklin, before the Normandy landings.